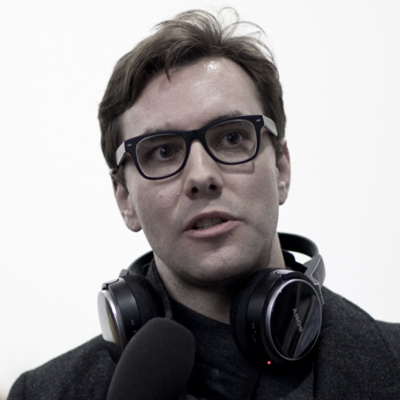 Jacob Appelbaum is an American independent journalist, computer security researcher, artist, and hacker. He has been employed by the University of Washington, and was a core member of the Tor project, a free software network designed to provide online anonymity. Appelbaum is also known for representing WikiLeaks. He has displayed his art in a number of institutions across the world and has collaborated with artists such as Laura Poitras, Trevor Paglen, and Ai Weiwei. His journalistic work has resulted in a number of books as well as publication in Der Spiegel and elsewhere. Appelbaum has repeatedly been targeted by U.S. law enforcement agencies, who obtained a court order for his Twitter account data, detained him at the U.S. border after trips abroad, and seized his laptop and several mobile phones. Under the handle „ioerror“, Appelbaum was an active member of the Cult of the Dead Cow hacker collective from 2008 to 2016. He was the co-founder of the San Francisco hackerspace Noisebridge with Mitch Altman. With several others, he co-founded the Seattle Privacy Coalition, an advocacy group. He worked for Kink.com and Greenpeace, and volunteered for the Ruckus Society and the Rainforest Action Network.